Yes, recently I decided it was high time to look back at the Ringu trilogy from Japan and dare myself to watch all three in one sitting, like I did many years ago and felt a little worried after the experience! Did I feel the same level of dread this time round? Not quite, but what it did make me realise is just how damned good the original Ringu film actually is, and how the highest grossing film in Japan’s history went on to influence hundreds of imitations and basically started the whole ‘J-Horror’ genre. It also made me realise that the two sequels were not quite as good as I remembered them, but still, they can stand head and shoulders above most modern horrors and genius works of art, and the whole trilogy can stand proud at being one of the most frightening four and a half hours you are ever likely to experience. The original Ringu was made in 1998, however did not reach UK shores until 19th March 2001 when it made its DVD and VHS debut. Already being hailed as ‘scarier than the Blair Witch’ and gracing many movie magazine front pages and double page spreads, Ringu arrived here with one Hell of a reputation to live up to. The talk of the ‘new horror movement’ was astonishing, everyone with even a mild likeness for horror had heard of ‘this Japanese horror about a cursed video tape’. The picture that graced most articles and magazines was that of Sadako’s brutal, intense, staring eye slightly hidden by all that long dark hair, something which would later be used in the majority of J-Horror movies. That picture alone was enough to upset readers and have the horror world in a bit of a frenzy. The excitement was pretty much reaching boiling point, I know, I was working in a video rental store at the time, and everyone was asking for it. It made me so happy to see horror creating a sense of hysteria again, a level that was last reached two years previous when the Blair Witch Project was released. Alas, Ringu was released and one the day of release I remember actually having the day off work, I set aside 90 minutes of my day, sat down, closed the curtains, turned off the lights and watched Ringu for the first time. In all honesty, I literally crapped my pants! The fact that over ten years on, and after multiple viewings the film STILL has that power to really disturb me as a viewer is some mean feat, and testament to the films raw power and originality. Now, even I will admit to being a little dubious about a horror about a cursed video tape. In all honesty, no matter how excited I was to see the ‘new genre of horror’, in the back of my mind there was this nagging doubt. “Just how the Hell do you make a horror about a cursed video tape, and make it scary?” As you can clearly tell by me doing this article, the film worked and it worked on so many levels and truthfully, I was in awe at this film, still am. The film opens with what looks like you average casual horror film, two school girls enjoying a night in while the parents are away. Still I their school uniforms, something which Japan has become very famous for, the girls share jokes and stories and come across as the best of friends and not the usual ‘victim for victim’s sake’ horror victims, these two are actually very likeable. One tells the other of the myth of a cursed video tape which, once viewed, will leave you dead in exactly one week’s time. After viewing the video, you will receive a phone call, a ‘ring’ to confirm this. Now, let’s clear one thing up right from the start, the word ‘Ringu’ in Japanese translates as the Anglo-American verb ‘to ring the telephone’ and this is what the ‘Ring’ in the title actually means, however, the American went on to mistakenly heavily feature actual rings in their version which coincidentally have nothing to do with the story! Anyway, the two girls laugh at the curse but feel a bit unsettled and one admits to viewing the tape. In a brilliant jolt of pure terror, something as simple as their phone ringing will quite literally have you jumping out of your skin, with it only being their parents, the sense of safety returns as the girls, and you the viewer, get over that first initial shock. 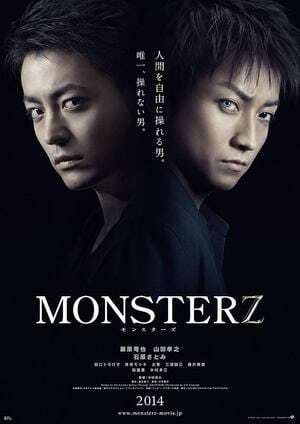 Another one is just around the corner, and again it shows that you are in the presence of a truly skilled director as Nakata simply turns the living room telly on, once again conjuring up a real sense of terror. The timing is perfect, and now that the whole superstition element to the story has well and truly kicked in, Nakata confidently delivers his first real, proper scare as one of the girls meets her death. It is a scene that shows the viewer that you are well and truly detached from familiar ground here. No blood, no violence, the girl simply turns around and is literally scared to death and the film pauses just to let you take it all in, a brief piece of unsettling sounds and the story moves on. There is a blink and you’ll miss her moment in the cabin as Sadako appears in the darkness which is extremely disturbing and the film suddenly takes on a real dark edge as Reiko sits down to view this cursed tape. 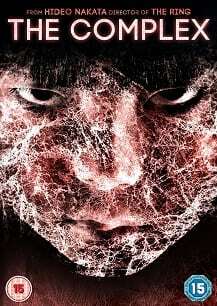 What she sees baffles and excites in equal measure, there are messages in the recording, messages that Reiko must figure out if she is to survive the curse. The video tape is expertly put together to give us, the viewer, a real sense of terror, the footage feels almost unreal, and most certainly feels ungodly, unnatural and chilling. No it does not make sense: and for that reason it really works. The sound effects too, they are inspired and have been used hundreds of times since, but it was Ringu that first brought these sound effects to us. I believe they are made by using a mandolin and doing something with the strings, I could be wrong, but I am positive I read that somewhere once. Having the phone ring which confirms the curse, Reiko now has seven days to solve the mystery. She enlists the help of her ex-husband Ryuji, who also watches the video and the pair embark on a mission to find out how to stop the curse. Even though divorced, there is a beautiful, mutual respect between the couple and it is refreshing to see a horror have two central characters really work together. The relationship is strong, and the characters themselves are strong and expertly played. Reiko is determined and level headed, and Ryuji has a kind face and is thoughtful and confident. They make for the perfect heroins in this bleak tale and Ryuji gets to work on analysing the video to learn its messages. Sadly, Yoichi also manages to watch the cursed tape, and now Reiko becomes desperate, she cannot bear the thought of her son dying too and now the hunt for the curse, and indeed Sadako really kicks off. Interestingly, when Yoichi watches the video at night the films colouring for that particular scene comes on a very intense blue for the brief moment. Maybe this was to really emphasise Reiko’s panic? Even more unsettling is Yoichi tells his Mother that the recently deceased Tomoko told him to watch the tape. It would seem that both Yoichi and his Father Ryuji have some form of psychic abilities, a notion which is briefly touched upon as Reiko and Ryuji follow a lead to a mysterious island. It is then used later on to help solve part of the mystery. Leaving Yoichi with his loving Grandfather, Reiko and Ryuji head off to a volcanic island in the search of the mysterious Sadako, the one who is doing the cursing. The island itself is not a welcoming looking place; all the faded colourings of the films only make the island look cold and haunting. Learning of Sadako, it would seem she too had psychic abilities, as did her Mother Shizuko. I won’t go in to too much detail here as no to ruin the story, but the history of Sadako and what turned her evil is brilliantly played out and it handled with proper care and attention by Nakata. The story draws you in so well you begin to actually believe in the existence of Sadako and the whole superstition element to the film takes a sudden stronger turn. Even now I find the story fascinating and I still hang off every word as the story is explained. The back-story is masterfully filmed in black and white and gives off a real sense of the beginning of something horrific and evil starting. All the characters deliver their lines with conviction and believability and make the whole set up a little to unsettling. Amongst all this, the film even manages to have a little dig at the media, with Ryuji telling Reiko of how Sadako’s Mother was built up by the media and then brought down and turned against “not much has changed in 40 years” he announces. As the story unfolds, you suddenly realise the kind of horror film you are watching, and what was sadly lacking in many horror films around at that time, and that was the seriousness of it all. Many horrors had either comedy, or some fun element to them to keep the viewer amused, be it jokes, a girl getting her kit off, some over the top violence or even a good old chase. Ringu has none of that, it relies on its story to do the work, and when films get it THIS right by drawing you in to its world in the way Ringu does, you do not need the added bits to help drive the film. Ringu consumes you, you end up on that island, you end up feeling cursed yourself and before the big finale, you too are suckered in to the false hope that happens right before one of the best scares in cinema history. Now, if you haven’t seen Ringu, skip this paragraph. We all know the scene, the TV, those sound effects and poor old Ryuji finally seeing Sadako in all her glory. Never in a million years did I expect to see what happens at the end of this film and that was one of the great things about seeing the film so early, no one had had the chance to discuss the now well known ending as Sadako crawls out of Ryuji’s TV and in to his front room. He falls on the floor in sheer terror and I believe this to be the best and most honest reaction he could have had. Put yourself in his shoes, you would be absolutely terrified, but something would stop you running off for the sheer amazement of seeing this ghostly creature crawl out of your TV. 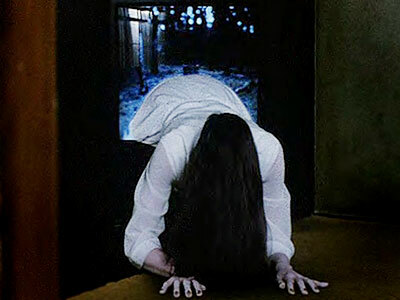 Sadako crawls, but it is also the build up the scares. In the cursed video there is a small glimpse of a well in the woods, and the tape stops just as it appears something is about to come out. Once you are cursed, the video plays on the seventh day and it doesn’t stop and Sadako climbs out of her cursed well and walks along the woods toward your TV. The staggering effects used to create Sadako’s unsettling and unnatural walk were done with one simple effect. 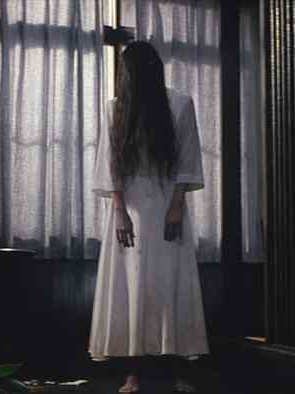 The actress playing Sadako walked backwards, and then the footage was played in reverse, an astonishing effect which again has been used and imitated over and over again. Oh, and while on the subject of influences, you can thank Ringu for all those broken finger nails we now see in horrors, it started here! Nice feature, Matt. Well written. I didn’t really like the Ringu series to be honest. Nope, not even the first. lol. Whilst we do share a lot of the same tastes, some times there’s films we just cannot agree on. Another one is D@bbe.